This post originally appeared on the blog Mr. 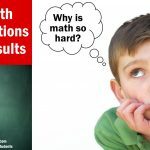 Elementary Math — Math Ideas for the Elementary Teacher. 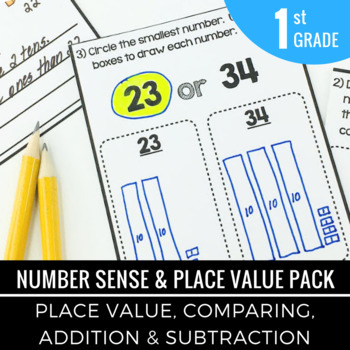 Since the beginning of the school year, I’ve been thinking about ways to build number sense with my students: check out my earlier post 3 Math Routines to Build Number Sense. I recently stumbled upon an idea about using number lines to help students better understand the relationship between numbers, and I thought for days about ways to make a number line that was easily accessible to students and pushed their thinking. After some time, I came up with the Interactive Number Line. You may be asking, “How can I make my own?” I am so glad you asked because it is pretty simple. What is the Purpose of the Interactive Number Line? 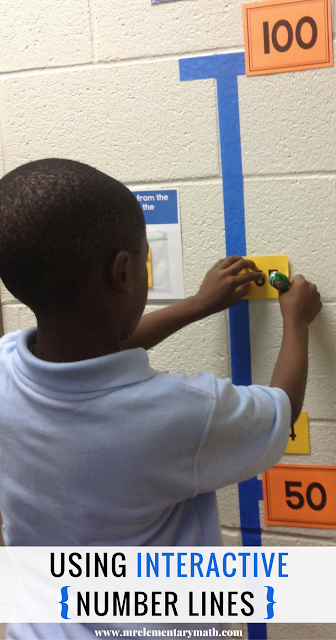 Number lines help bridge gaps for students to better understand numbers that come before or after a given number. I love using interactive number lines because the numbers are completely out of sequence. My students develop a deeper understanding of the number system because they are required to put random numbers back into the correct sequence. In this case, I like using a vertical number line because students can “see” the numbers increasing or decreasing. Counting and understanding relationships between numbers are very important math concepts. Number lines can be used to focus on small bands of numbers. Student differentiation comes into play when you allow specific groups of students who are experiencing difficulty to focus only on their area of need. 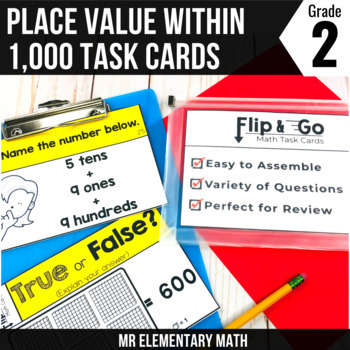 Consider tailoring the student number cards for specific groups or having multiple number lines around the room for various groups. 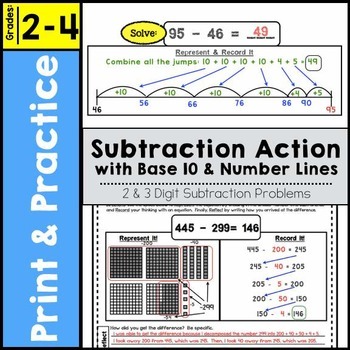 For example, Group A may need more support with numbers 50 – 100 so I would setup a number line starting with 50 and ending with 100 using 75 as the middle benchmark number. Group B may need to be pushed to work with numbers beyond 1000 therefore that number line would have a beginning number of 1000 and ending number of 2000. In this case, I could use multiples of 100 as benchmarks for the hashmarks like 1100, 1200, 1300, 1400, etc. You can use an interactive number line as a lesson opener (hook), whole group mini-lesson, center activity or a quick assessment. How Can I Use Interactive Number Lines with Lower Grade Students? The numbers 5 and 10 are very important benchmark numbers for kindergarten and 10 is extremely critical for 1st graders. They are also learning the concepts of more and less. Use interactive number lines to help reinforce these concepts. Check out the example below. 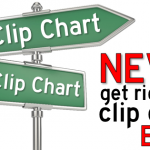 Click here to find multiple representations (i.e. ten frames, expanded form, base ten models, etc.) 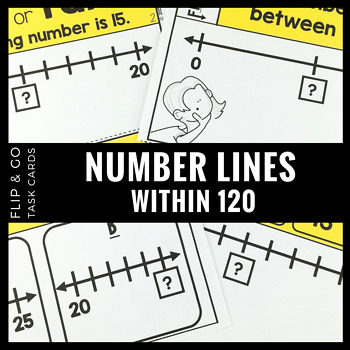 for numbers 0 – 150 to use to create an interactive number line. How Can I Use Interactive Number Lines with Upper Grade Students? Number lines can also be used with upper grade students to support fraction and decimal understanding. Using interactive number lines really helps to bridge student misconceptions about these concepts. Check out an example below. 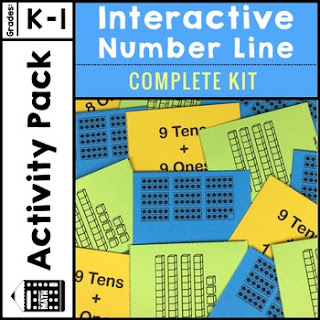 Click here for FREE resources to help you get started creating your Interactive Number Line. Start by having the students make sense of the number line. 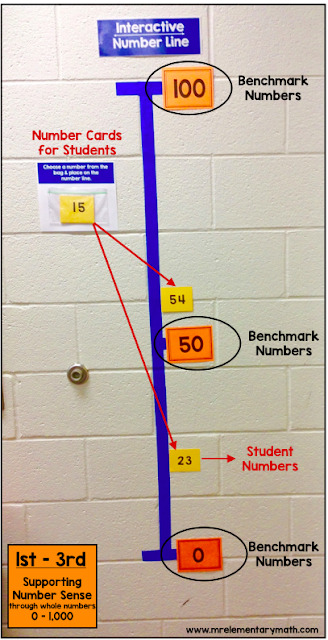 It was helpful when the kids plotted the benchmark or friendly numbers within the number band before placing the Student Cards on the line. For example, when looking at the number band 0 – 100, the students found it helpful to determine where 10, 20, 30, 40, 50, 60, 70, 80 and 90 should be on the number line. This single step helped a lot because the span from just 0 through 100 was too broad for my students. Use a vertical number line like the picture instead of a horizontal number line. Students really “see” how the larger numbers are represented on top and smaller numbers are toward the bottom. 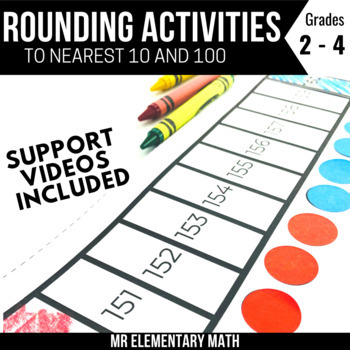 Plus a vertical number line is an EXCELLENT tool to help with the concept of rounding and decimals. Overall, I love this tool! 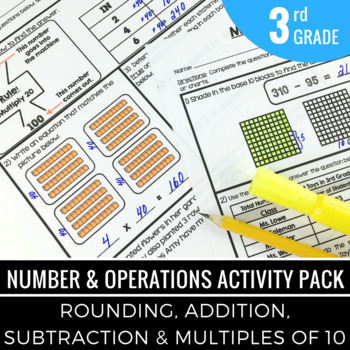 It would be great to have 2 or 3 of them setup in your classroom, this way students can work together to build their own understanding of numbers. 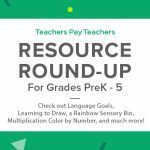 If you want to save time, I have created an Interactive Number Line Complete Kit for Numbers 0 – 150. Click the photo below to preview it. My name is Greg Coleman, also known as “Mr. Elementary Math“. I’ve been an educator since 2003. In addition, I have served as an elementary Math Instructional Coach since 2010. I love supporting K-5th grade teachers in providing great math instruction. Be sure to check me out on my blog, Facebook, and Pinterest. 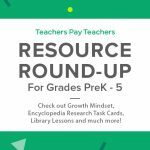 ← Resource Round-Up: Close Reading, Telling Time, Thanksgiving, Social Stories, Project Based Learning, and More!